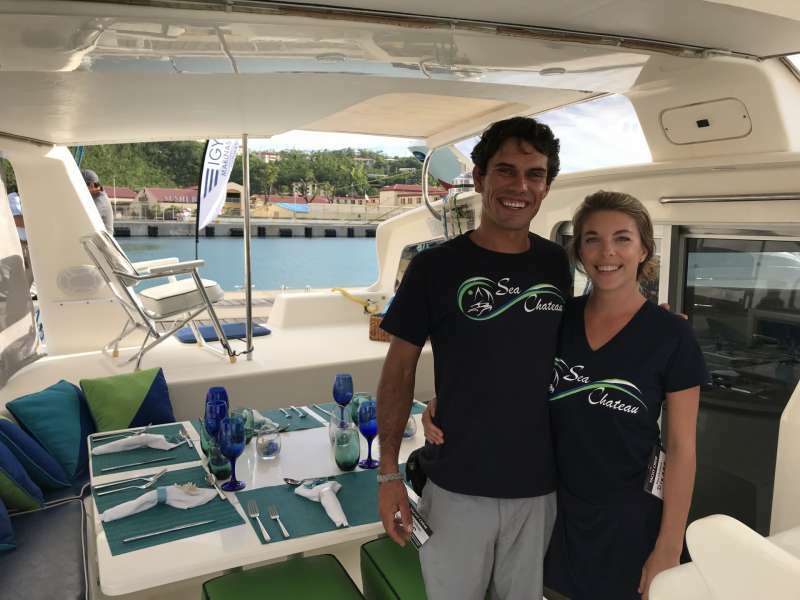 SEA CHATEAU Yacht Charter - Catching tuna and mahi-mahi! SEA CHATEAU Yacht Charter - Happy 70th! SEA CHATEAU Yacht Charter - Relaxation mode! Owner/operator of Sea Chateau, Barend (Byron) Groenewald grew up in Paarl, a beautiful small town in the wine country outside of Cape Town. Growing up with a very adventurous family, he had the privilege of enjoying the ocean and all it had to offer from a young age. At the age of 18, he pursued a dream of obtaining a captain's license, which led to 10 years of experience sailing the worlds oceans as a professional, captaining vessels from sailing monohulls, catamarans, and power yachts. Byron's main passion in life is to share his love of the ocean with others that feel the same and expose those who have never had the chance. With his expertise in all water sports ranging from sailing, diving, wake boarding, waterskiing, free diving and fishing just to name a few. He can accommodate all levels of skill and a varying age group in enjoying the ocean and all it has to offer. Byron's qualifications in the industry make him a great host and teacher in and on the ocean. Having completed his RYA Yachtmaster Ocean and Instructor courses, PADI Rescue Diver and wakeboard/ ski instructor, he is sure to assist all levels from beginner to advanced water sports enthusiast, ensuring that everyone gets the most out of the great wonders the ocean has to offer us. Chef/first mate Dianne is American and grew up near Cape Cod Massachusetts where she obtained a degree from Lesley University in Cambridge, Massachusetts in Counseling with a specialization in Special Education. Her passion for travel landed her a job as a therapist on Tortola in the British Virgin Islands in 2012, where she met Captain Byron. Her love for cooking started at an early age, being exposed to New England seafood and a family who loved fishing and being on the sea. After working in the fine dining industry under world renowned chefs, Dianne decided to bring her passion for outstanding cuisine to Sea Chateau, focusing on freshness and local cuisine, striving to make Sea Chateau one of the most sought after charter yachts in the Caribbean, and sharing with guests why she fell in love with natures little secrets. Fish Gear Type: Trolling, spinning and bottom. Other Entertain: Powerfull 8Kw. Diesel/Electric generator. Byron is a wonderful young man who gave us great advice for all our activities on and off the boat. As owner/operators the boat is their home, and it is excellently maintained. Very comfortable for our group of 6. We never felt crowded. We let them plan the route, only specifying a couple of stops, ie: the baths, Soggy Dollar. We loved all the places they took us. Excellent food and a wide selection of drinks. At our request, Diane provided gluten-free options for every course of every meal. The food was amazing in taste and presentation. 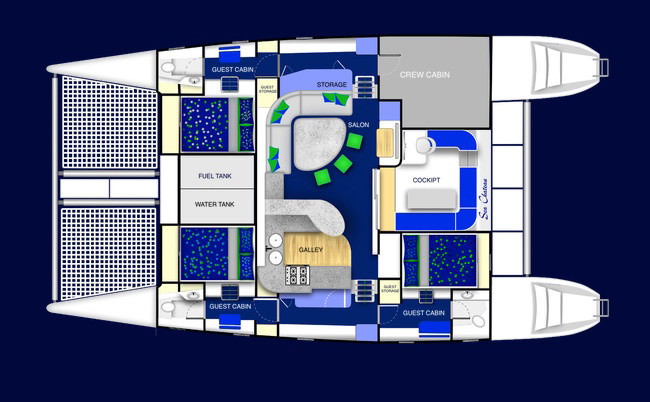 This was the first crewed charter for all 3 couples, though we have all been to the Caribbean several times. We all agreed this was our best visit ever and we would do it again in a heartbeat.